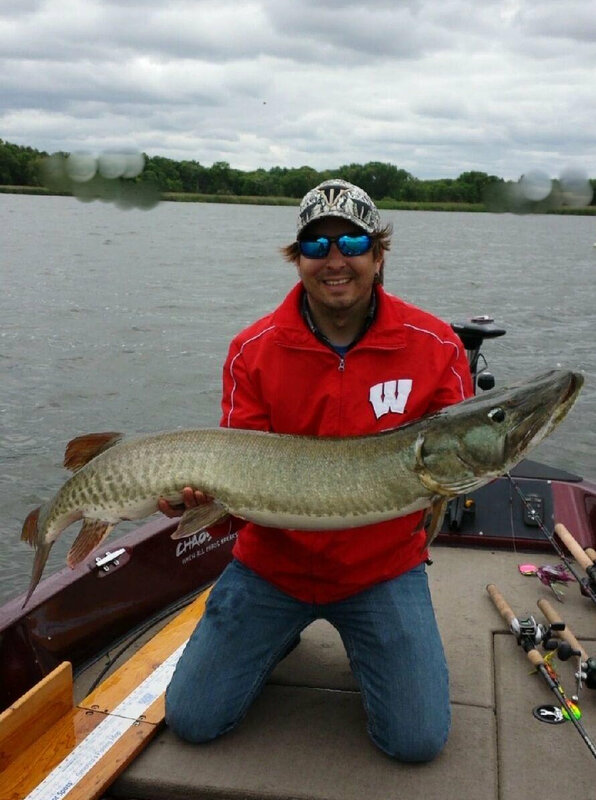 Last Sunday I had the pleasure of taking a veteran out muskie fishing. It was an action packed day and I am sad to say that no muskies hit the net. 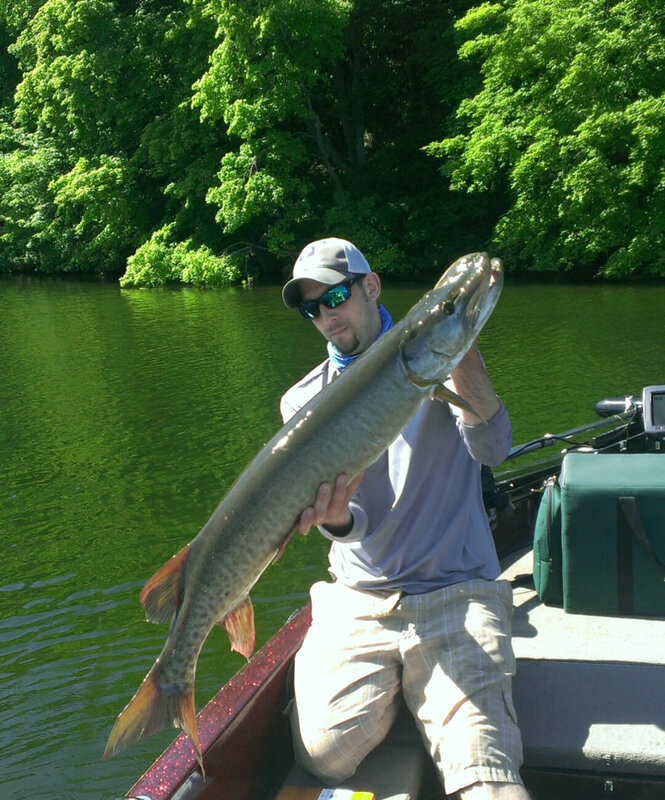 It took my client a little bit to get the hang of casting the muskie gear but once he got warmed up he put the reels to the test. All in all we had two lost fish and he had an absolute giant to the boat on the last spot but just wasn’t able to seal the deal. Oh well!! Giving up some time to make an American veterans day was more than worth my time and we had an absolute blast! It was too bad I could not hang around and enjoy the lunch and everyone’s company for a little bit but the little lady needed me. The action in the metro continues to be HOT!!! Give me a call to book a trip!! I have been so busy I am just now able to update what has been going on with the muskies lately. I have found the fish everywhere from deep to ultra shallow in the last two weeks. One day the fish are moving out of areas of 25 ft and the next day, or later that day, they are in 1 ft. With this being said there is one main trick I can give you to stay on top of the muskies. Make sure you do not get sucked into fishing only shallow, or only deep weed edges. Pick out a structure that contains multiple features and deep water near by and begin dissecting it. With all of the rain lately storm fronts have definitely been a hot ticket if you do not mind fishing right up to when a storm is going to hit. Tonka has had a steady bite going and has been very peaceful to fish with the no wake rule on the entire lake. I ran a guide trip on Monday with two 13 year old boys who did a tremendous job out there. As a storm front was moving in the fish became super active and the boys had multiple chances at fish with one being a low 50 inch class fish. I hooked a mid 40 inch fish boat-side and attempted to hand my rod to one of the boys but the fish got the best of us. All-in-all it was a fun day one the water with a couple young up and coming muskie fishermen. The fish are biting right now so give Apex Predator Fishing a call and I will put you on the fish! Here’s a couple from last week. My buddy Eric with a hefty 49 he got pre-fishing with me for the metro tourney. Sight fishing is the best!